Not only are there musical influences that consistently present themselves throughout the performance, there is also an incredible stage presence that comes through even on an audio CD. 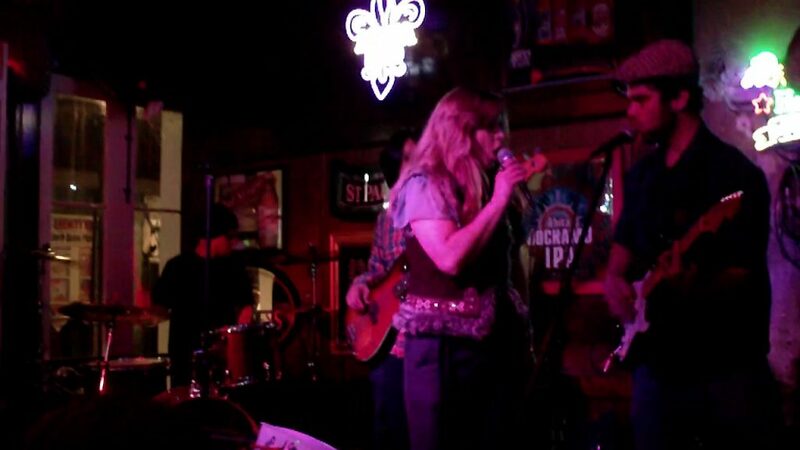 Tina Turner, James Brown, and even Elvis have all helped Lani tear it up on stage and she looks good while doing it. This is definitely a band that will get you moving along with them in your headphones or in the club. This brings up the issue of live recordings in general. Live albums can be a hit or miss. Sometimes you have too much crowd, too little rock. Sometimes it’s quite the opposite – with the final mix sounding like a demo of an album with a few bits of applause and screaming between tracks. As far as this record, I think it’s safe to say that every one of the Fugitives are on point, and the mix is definitely where you want it. It sounds live. The playing is top notch and the band itself keeps loose while maintaining a tight ship. It’s got attitude. It also feels quite rebellious. It’s got the ‘ol DIY New Orleans aesthetic, controlled chaos. That’s a good thing. Collaboration. Improvisation. In a matter of seconds they are able to break it down to some of the most subtle, calming arrangements you could ask for, but immediately pick it up like nothing ever happened. What comes next, you never know. The coolest smokiest jazz moments properly segued into a nice backbeat complimented by the horns, then straight into a Rock and Roll tune on to Blues and even a bit of Hip Hop for a moment. 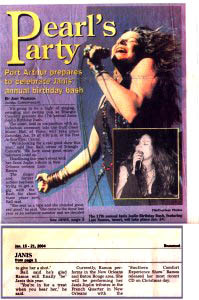 “Lani Ramos took the stage performing hits of Janis Joplin during the 17th annual Janis Joplin Birthday Bash… Civic Center in Port Arthur, Texas. Ramos has produced three CDs since moving to New Orleans in 2000. The first, In Loving Tribute, 9.11.01, was distributed exclusively by Ramos to the first responders of 9/11 in NYC. 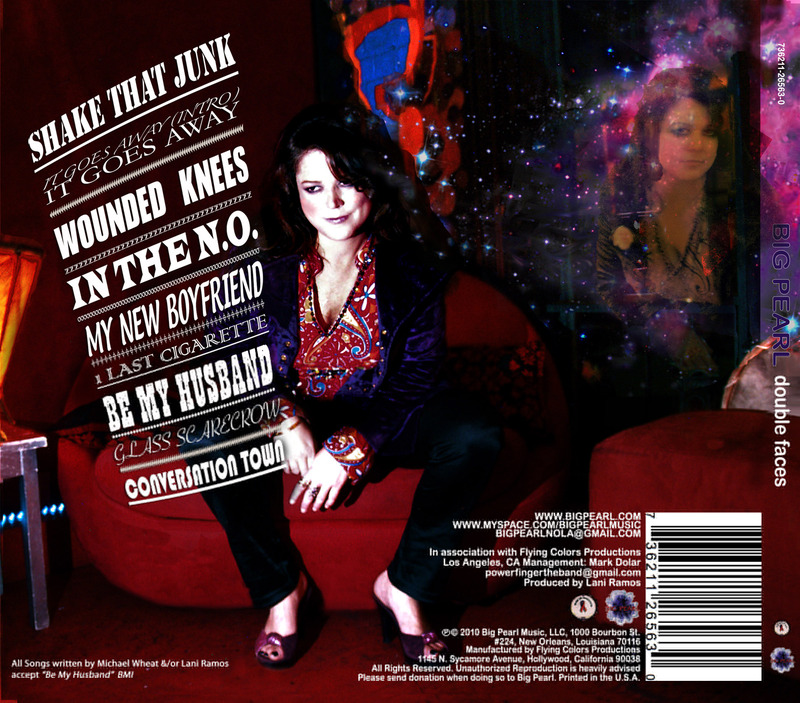 Offbeat Magazine’s Robert Fontenot said, “Ramos’ original song, Arms of Heaven, perfectly encapsulates the reflective quiet and resolve that the country demonstrated in the hours and days following the tragic event.” Her second CD, Scoot Boogie Baby’s, Lani Ramos, contains original songs and was created to sell at the Janis Joplin Tribute Show at the Port Arthur Texas Civic Auditorium in 2004. 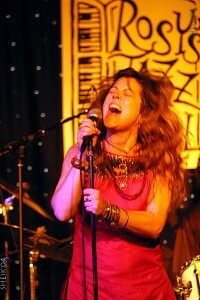 The 17th Annual Janis Joplin Birthday Bash and Gulf Coast Music Hall of Fame Awards. 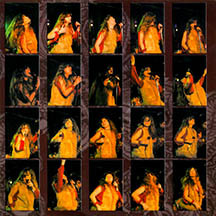 Ramos shared the stage with Archie Bell, Frogman Henry, Jive’in Gene and Lil Fats’ singing the Janis Joplin songbook. The Louisiana Music Commission reviewed the CD: “…her voice, music, style and sound are a… mix that does sound like Janis, and it’s pretty good stuff, too…” Later, Ramos would go on to share a stage at Rosy’s Jazz Hall with Big Brother & the Holding Company and John Sinclair in a reunion of sorts for the two psychedelic rock 60’s acts. The two bands haven’t performed together since 1967 and is reunited by Ramos for one night of legendary music over New Orleans’ Jazz Festival 2004 promoted by MotherShip Entertainment. It was an incredible show! 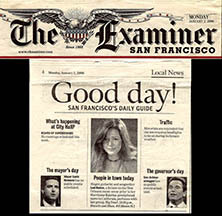 Temporarily displaced for ½ a year in California after Hurricane Katrina due to injury, Modesto Bee Newspaper Ramos landed on her feet with regular weekly gigs at the famed Biscuit & Blues music club in San Francisco. Ramos returned to New Orleans and was in immediate demand and booked for weekly shows at the Bourbon Orleans Hotel bar room, Snook’s. Simultaneously, the Frenchmen Street clubs Apple Barrel brought her back weekly and later that summer, she performed at d.b.a. 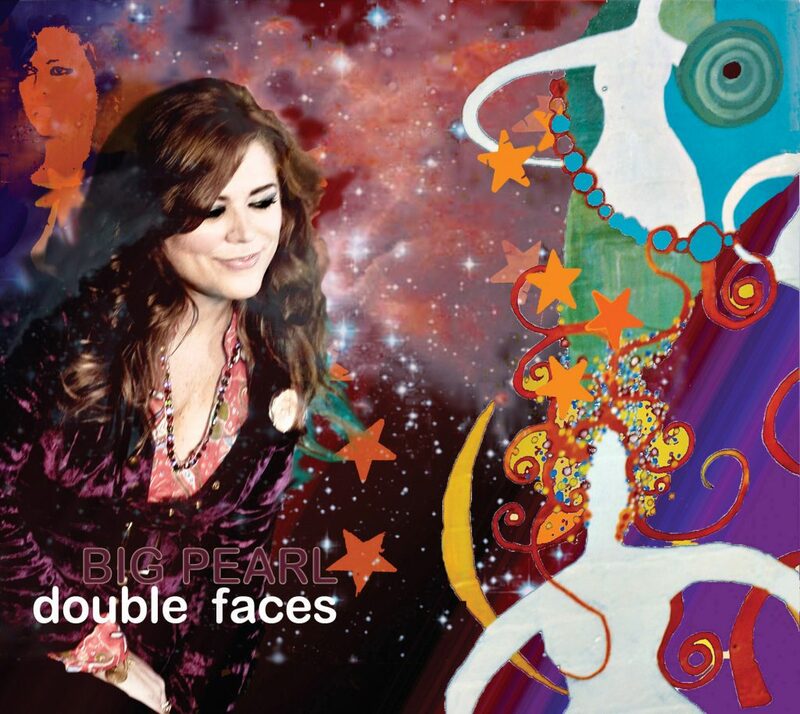 With guitarist Michael Wheat, Ramos wrote a whole new body of work containing ten original songs and credited as the record’s producer called Big Pearl Double Faces. Released as a downloadable album only through CDBaby! by Flying Colors Prods., out of Los Angeles in 2010, Ramos would later release it as a deluxe addition adding new song outtakes in a physical CD release in 2012. Recorded in New Orleans, mixed in San Francisco and New Orleans, the album was mastered in Ojai, California by famed engineer Doug Dax in his studio The Mastering Lab. Sax is best known for mastering the Led Zeppelin Albums. 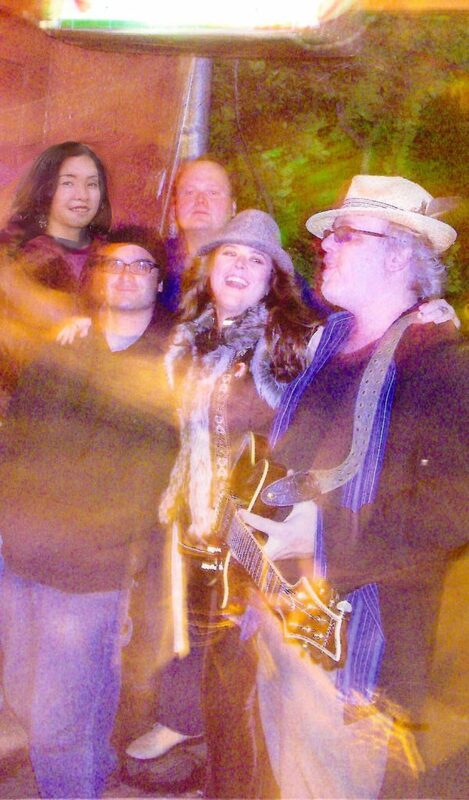 It features Michael Wheat as writer/guitarist, Jimbo Scott on bass, Keiko Komaki on keys and Adam Coolsat on Drums. Continuing to be a staple on Bourbon Street, Big Pearl opened a new music venue, MyBar @ 635 Bourbon. 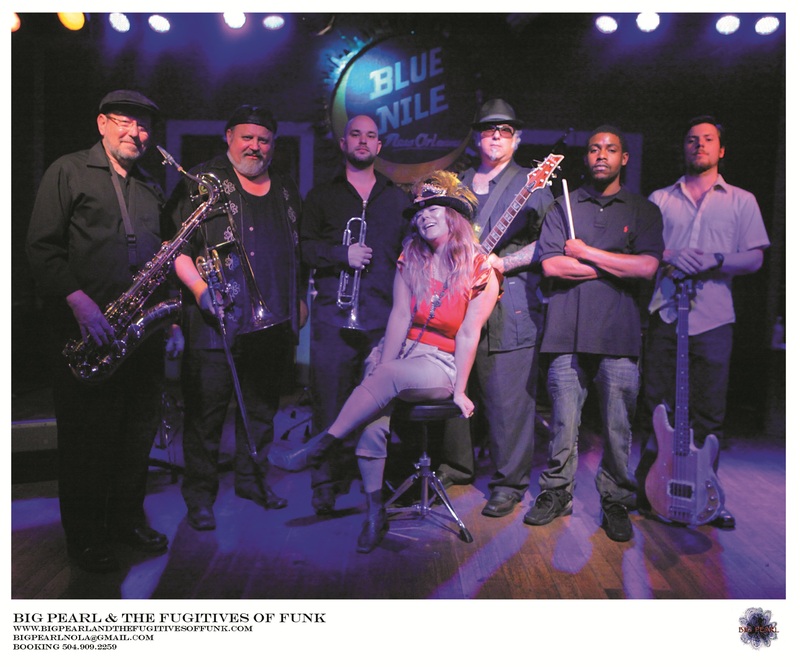 Playing three nights a week with Ramos was mainstay Brandon Brunious of New Orleans musical lineage starting on bass and switching to guitar over their two year stint. Ramos and Brunious together performed songs from the upcoming release off Double Faces and wrote new songs building a new record. The band’s CD is available online at www.bigpearl.com, Amazon.com, CD Baby and iTunes as a downloadable album. In the summer of 2010 Ramos visited Paris Radio and Nova Radio stations in Paris, France dropping off Double Faces to various DJs. Afterward, Ramos traveled and met up with other New Orleans artists in Livorno, Italy jamming to the music as a featured vocalist with Lynn Drury and famed Italian guitarist Roberto Luti at the Jazz Café. 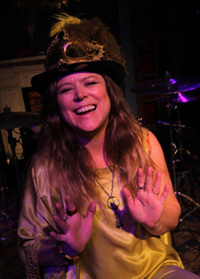 Currently September 29, 2014 and hot off the presses, Ramos produced her 5th title of mostly original music with co-writer Michael Wheat titled Big Pearl & the Fugitives of Funk Live On Frenchmen Street, featuring Big Chief Alfred Doucette, Blac Sol and more. Also, Ramos and Doucette are together again and collectively developing another project for a new show for a 2015 tour. Super busy these days BP&TFOF are gigging Wednesdays at Club Bamboula’s with Doucette as the band’s permanent guest-star. Together with a 9 year friendship, Doucette and Ramos have paired up and developed a lasting professional partnership. 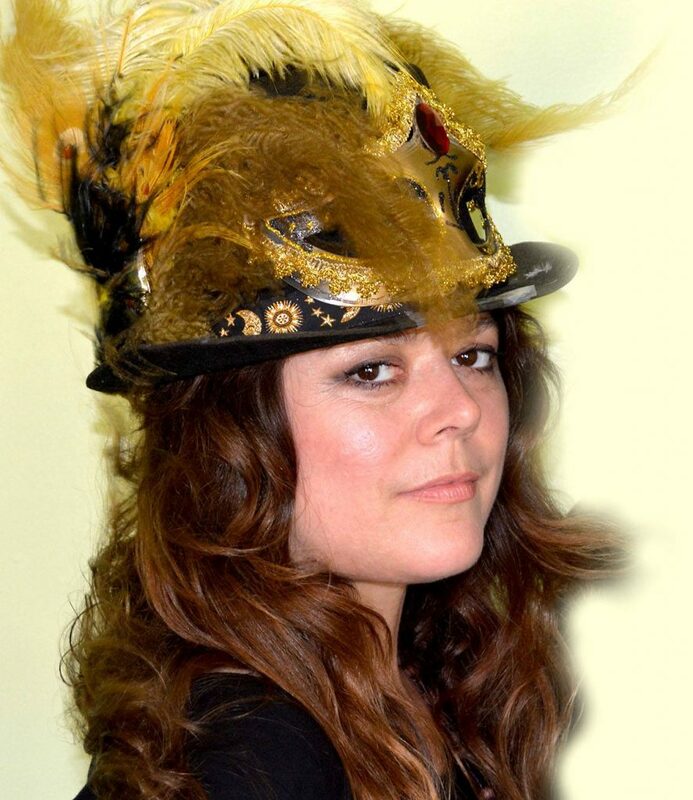 As if that isn’t enough, Ramos is flexing her variety skills and will be starring in a live variety show a la dinner theatre with Doucette, Treme Brass band, Al Carnival Time Johnson and many others at The Frenchmen Street Theatre beginning after Mardi Gras 2015. The show is Yeah You Rite! LIVE and is a take-off from Ramos’ weekly television show, Yeah You Rite! which airs locally on Cox Communications Channel 99. Currently, at the Blue Nile, BP&TFOF perform a weekly show on Monday nights playing songs off the album Double Faces. Fans enjoy originals, like, SHAKE THAT JUNK, IN THE N.O., and 1 LAST CIGARETTE, and also, with brand new originals, BIG BRASS BED, BOOTY IN THE BIG CHAIR and BORN TO LOOSE. Ramos is also a writer/producer/star of the band’s music video “Shake That Junk” and television writer/producer/director/star of her own musical/comedy/variety TV show, YEAH YOU RITE! The show airs locally in the New Orleans area on New Orleans Access Television (NOA-TV), Channel 99 Cox Communications, Thursdays, 1:30 a.m. & p.m. Ramos showcases her skills not just in singing and dancing, but in sketch comedy too, with friends that are also entertainers. 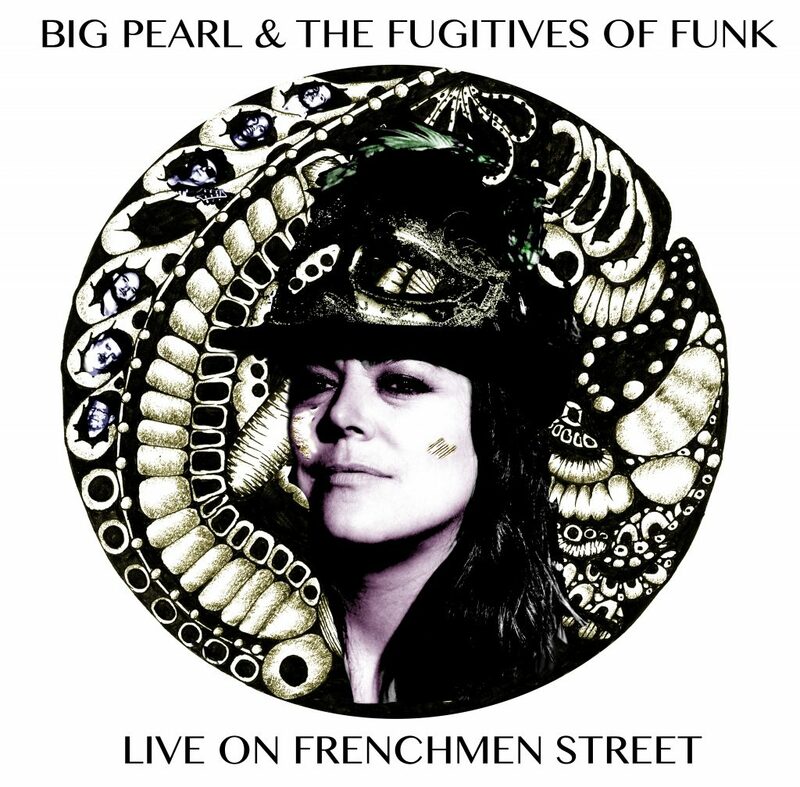 Big Pearl &The Fugitives of Funk are expanding their live shows with bookings around town and around the Southern basin coming up in 2011 & 2012.